Our products can be fabricated with a variety of materials to ensure you get a solution that meets your exact specifications. To give you a full understanding of what our products can do, weâve provided a complete series of downloadable Technical Data forms that will help you during the planning stages of your project. Click the links below for detailed information about the Flex-Strut product you're interested in. Flex-Strut's metal framing systems are available in multiple fabrications and welded combinations. 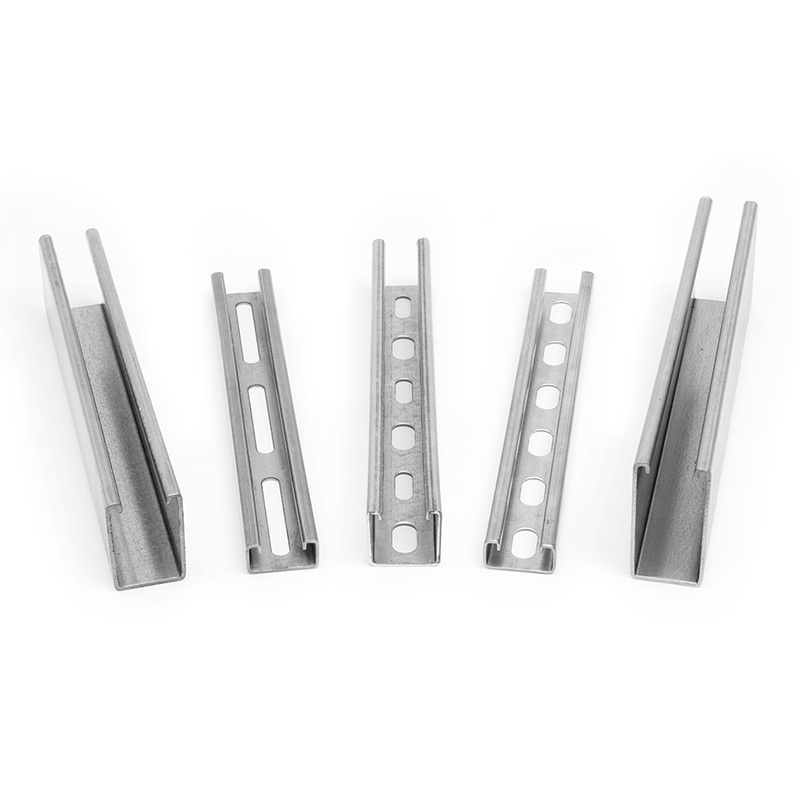 Heat-treated and zinc-coated, and available in multiple styles and sizes. 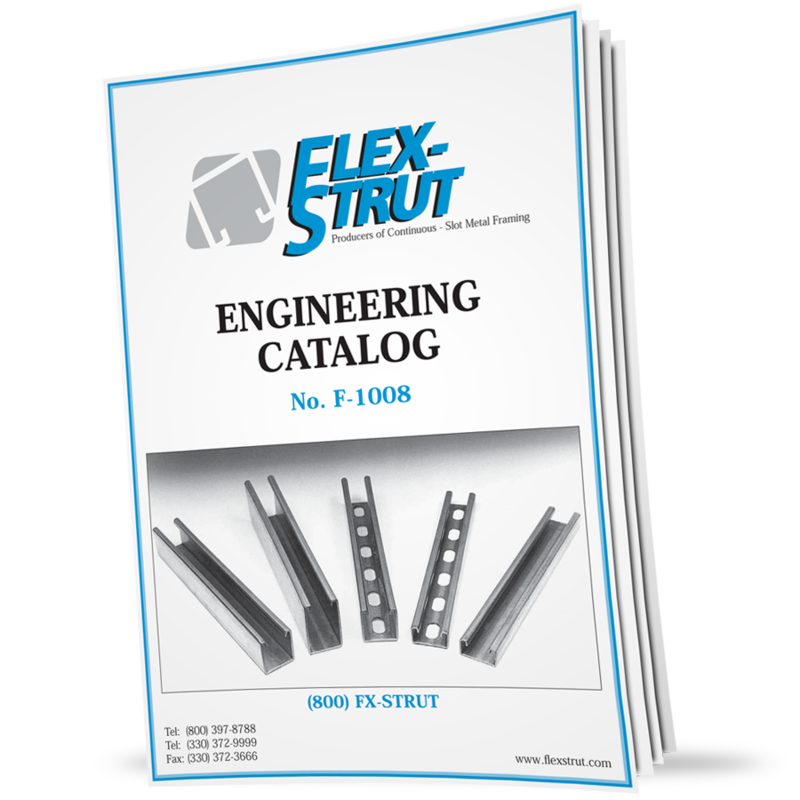 Flex-Strut offers a variety of fittings, clamps, and brackets. 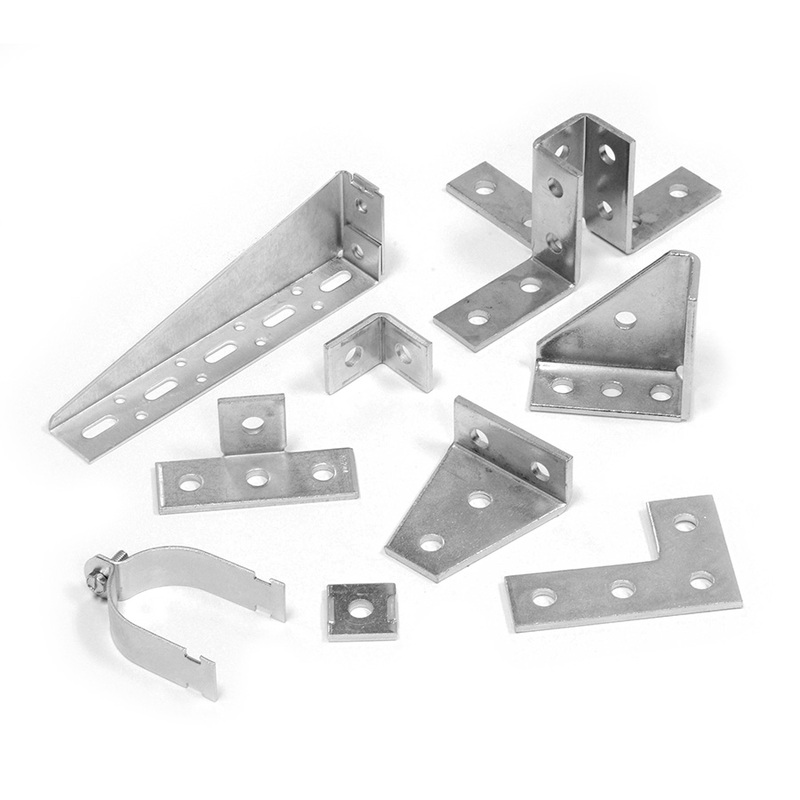 Flex-Strut Concrete Inserts are the ideal solution for easily installed anchors to concrete foundations. 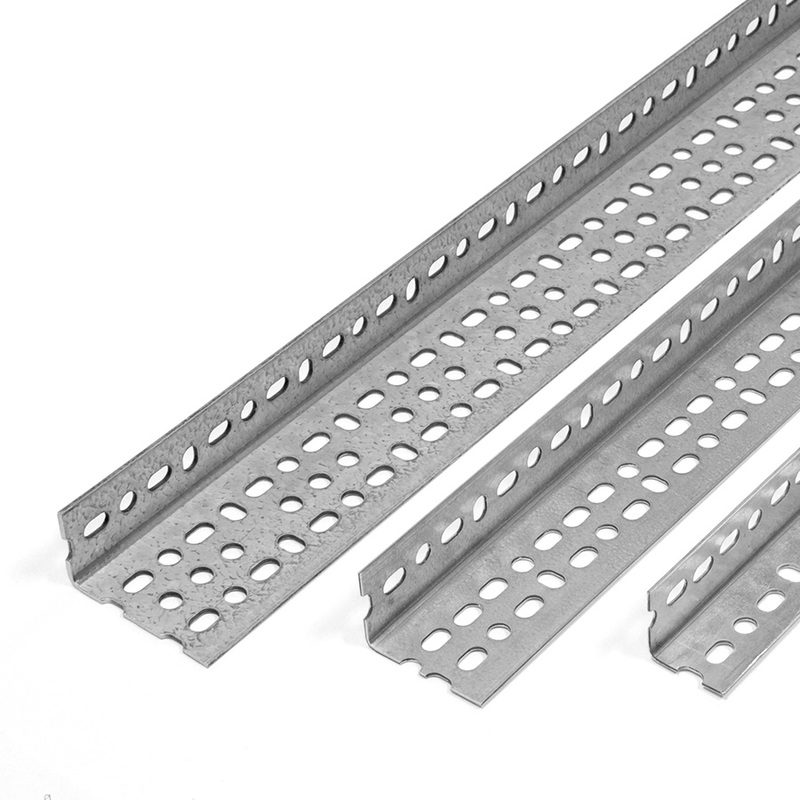 Made from cold-rolled steel and available in Pre-Galvanized (PG), Hot-Dip Galvanized (HD), and Stainless Steel finishes (type 316 [ST6] or 304 [ST4]), our inserts are designed for high performance and reliability in every application throughout the construction and civil engineering industries. Our in-house manufactured laboratory furniture is ideal for a number of applications, including hospitals, research labs, and schools. We can produce any number of custom pieces to meet your desired size and specifications. We can also paint and coat each piece to match the project's color requirements. FlexAngle ® slotted angle boasts an exclusive design that is readily adaptable to an unlimited number of framing and storage configurations. 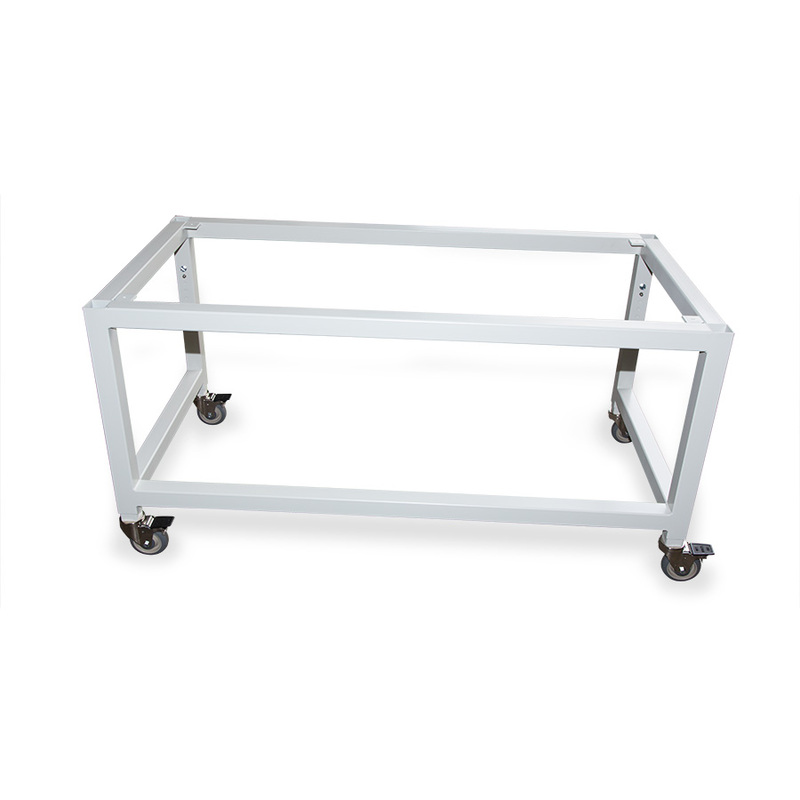 It is ideal for constructing shelving, tables, racks, and displays. 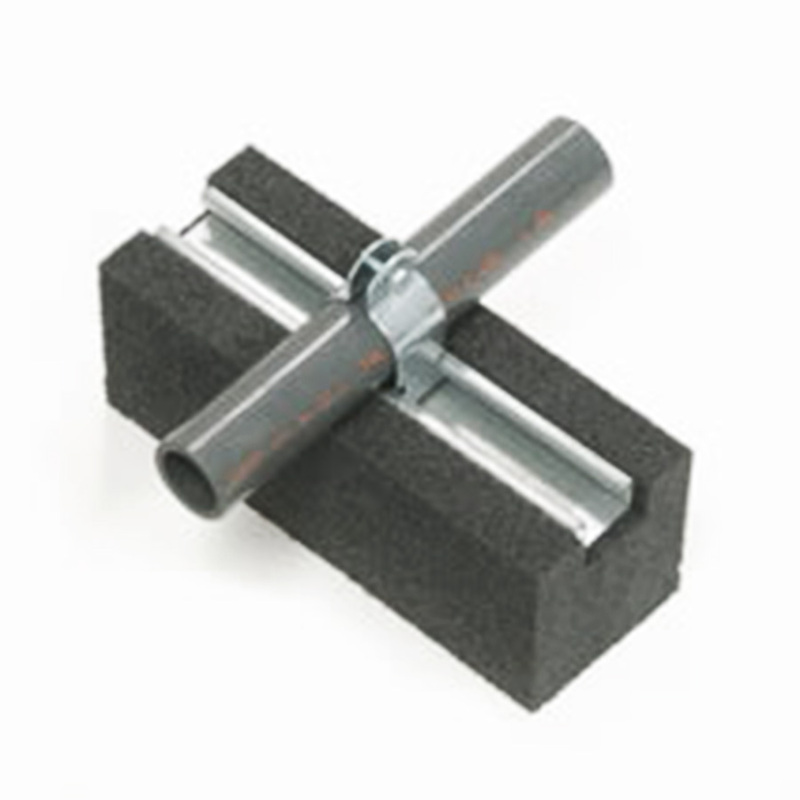 Hydra-Zorb cushion clamps are ideal for pipes, tubes, and hoses. Designed to eliminate metal-on-metal contact between fluid connectors and clamps, they help to reduce noise, shock, and vibration caused by fluid surges in tubes, pipes, and hoses used in the construction of stationary and mobile equipment. They are resistant to most fuels, oils, gases, greases, solvents, mineral acids, and other harsh materials. 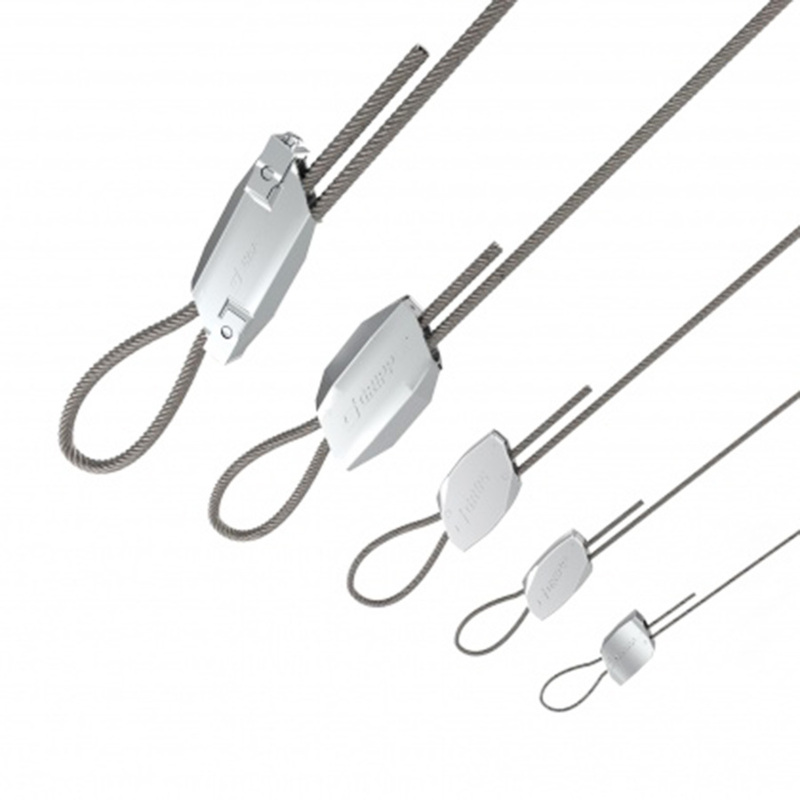 Discreet, strong, and simple to use, Gripple Hang-Fast hangers are ideal for suspending a variety of mechanical and electrical applications, as well as HVAC. Secure insulation in seconds. 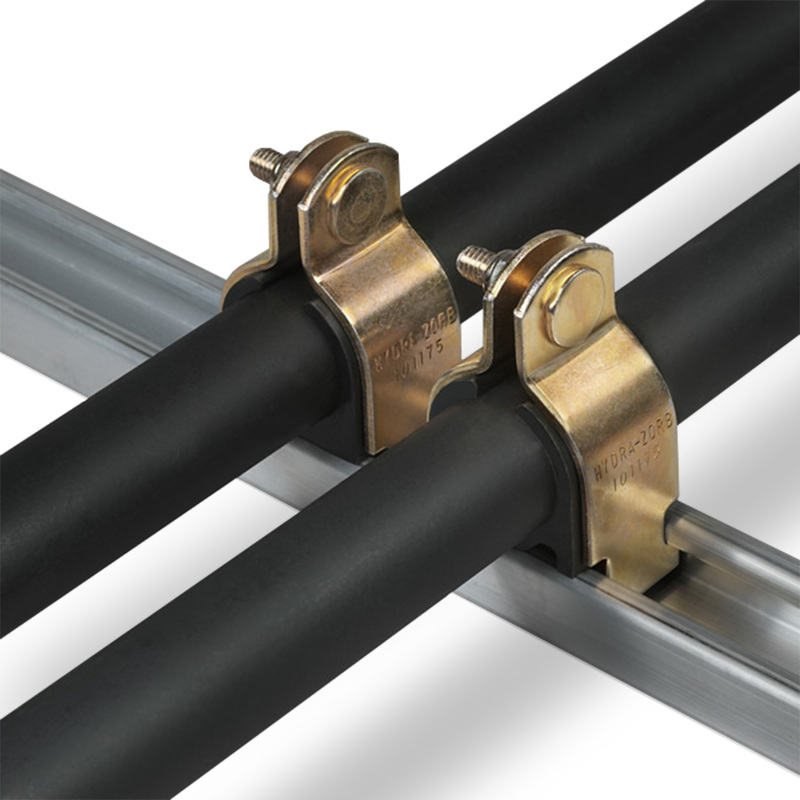 Klo-Shure ® strut-mounted insulation couplings reduce the time required to insulate copper tubing used for refrigerant lines, hot- and cold-water plumbing, and chilled water systems. No special tools, glue, or tape required. Klo-Shure couplings are recommended for pipe fitters to support and level tubing during installation. Pipe Pier ® pipe support systems are the most innovative support solution for roof and raised floor applications. 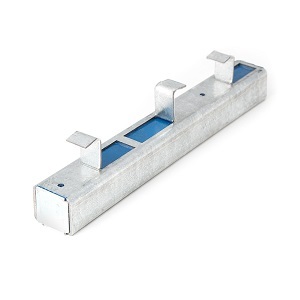 The pipe supports are engineered to securely hold pipe, conduit, cable, and HVAC equipment. 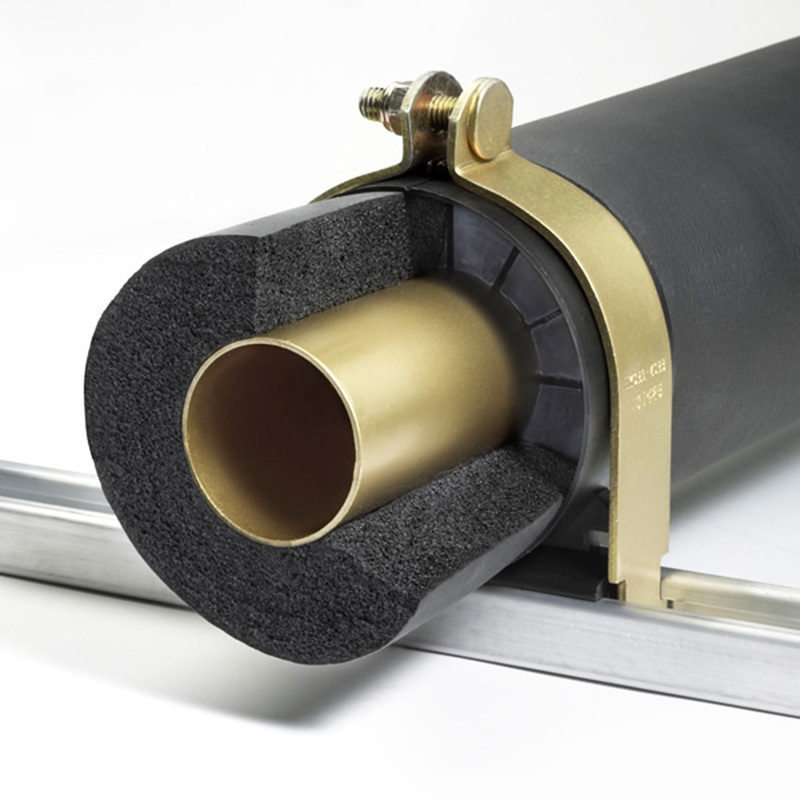 Pipe Pier ® supports are made of a tough, flexible, roof-friendly closed-cell polyethylene foam that is UV-resistant and practically weatherproof. Still looking for the parts you need? Search our entire product catalog. Flex-Strut has you covered for every job, large or small. 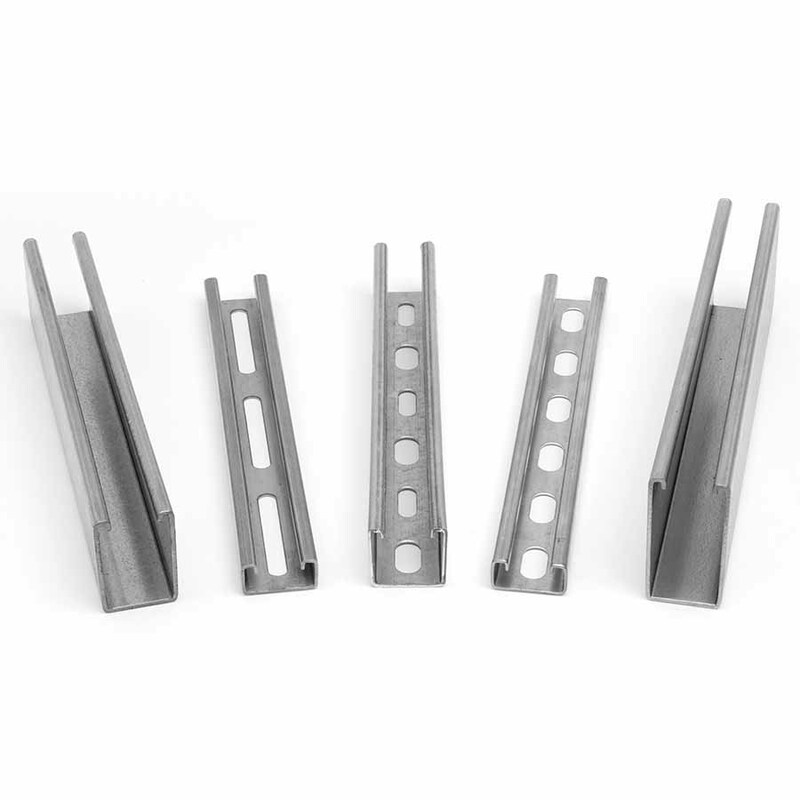 Our inserts are easily installed without the dust, noise, or sparks of other anchoring methods. 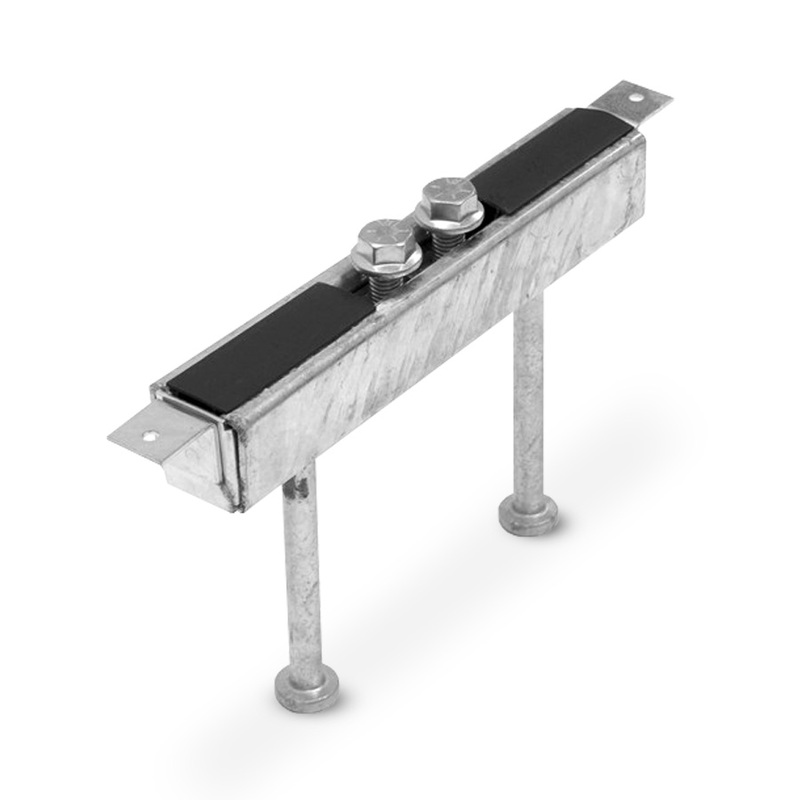 Easily removable plastic strips or Ethafoam filling prevent concrete from entering the channel during the pour, and twist-in strut nuts allow for adjustable anchoring positions along the channel. 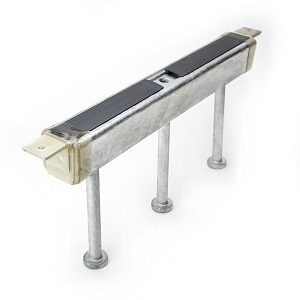 Flex-Strut Spot Concrete Inserts and Continuous Concrete Inserts offer reliable load bearing capability with easy installation. 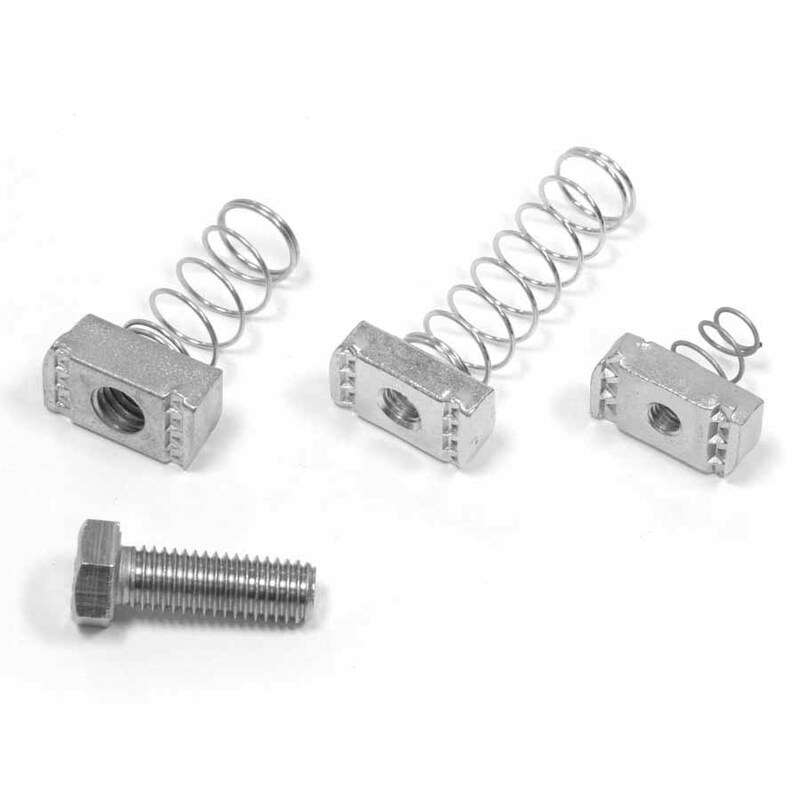 Spot inserts are ideal for single pipe-support or trapeze-style hangers with a maximum allowable load of 800 pounds when used with Flex-Strut FS-7025-1/2" insert square nuts or larger (sold separately). 1/4" and 3/8" square nuts also available upon request. Continuous inserts can be installed in ceilings or walls for a variety of applications. Depending on the size of the product, our inserts offer maximum allowable loads from 800 pounds to 2,000 pounds per foot, and can be ordered in up to 20-foot lengths. When the job calls for heavy load, spot applications, such as curtain walls or glass/stone retention, our engineers can assist you in designing heavy-duty concrete inserts to meet your job requirements.